This is a short guide for fixing most possible errors. 1. How do I start playing? a. You can find our Beginner's guide here. b. After installing, you need to log-in to the Mythos Global Homepage using Internet Explorer..
c. Click the “Game Start” button in order to activate the client. 2. Where can I download the client? a. Please check out the downloads page for the client. a. Please make sure that your internet connection is working properly. b. Please let your antivirus, firewall, or any other security program allow Mythos Global to connect to the internet. c. Some countries may not be allowed to play in Mythos Global’s servers due to another owning a local distribution rights to your area. For more information, you can check out the Area Availability list. 4. Game won’t start/Launcher won’t run? a. Log-in to the Mythos Global Homepage using Internet Explorer (you may need to install an Activex control for it. It’ll popup on the top of the window). i. If you are using Google Chrome or Mozilla Firefox, please follow the instructions on this guide to make the launcher work. b. Click the Game Start button, and it should run UpdaterRun.exe. On the first time that you run this, it might take a few minutes (5 or more). It’ll be faster the next time you run it. ii. Look for Myth.exe. Right-click and go to its properties. iii. Under the compatibility tab, run it as compatibility mode for Windows XP SP3, and check run as admin. ii. Click the "Go Home" button right under the "News" box. It will open a new IE window. iii. Close the client patcher (Updater.exe). Log-in using the new IE window. iv. Click "Game Start" to run the game. a. Check your installer version. It should be Mythos_Setup_ENG_120130.exe. If you're using the earlier CBT version, Download and install the Mythos_Setup_ENG_120130.exe installer. b. Update your Adobe Flash player and your computer's ActiveX controls (if you're using IE 6). c. Log-in though the Mythos Global Homepage and click "Game Start". a. Go to C:\t3fun\Mythos\bin (or wherever you installed Mythos) and run Updater.exe (or UpdaterRun) to launch and patch the game. b. Click the "Go Home" button and it should open Internet Explorer. c. Close the launcher, Log-in to that page and click Game Start. i. Open Task Manager (Ctrl+Alt+Delete). ii. Close all programs related to Mythos (like UpdaterRun.exe, Myth.exe, etc.). You can also try rebooting your computer. i. Go to Mythos folder and rename several files that were updated. ii. View files in Windows Explorer and you’ll see the file dates. i. Go to your Mythos' bin folder (default is "C:\t3fun\Mythos\bin"). ii. Right-click Myth.exe and choose properties. iii. Go to the compatibility tab and choose the one for your OS. b. Run launcher once and it will fail. c. Restore all files and run launcher again so that it will update. i. You can also rename the “UpdateInfo” file in the bin folder. It will then download and apply updates again. a. Log–in to the T3Fun Login page. b. Go to the Mythos Global homepage and try to run the game by clicking game start. c. You can also go to C:\t3fun\Mythos\bin (or wherever you installed Mythos) and run Updater.exe to launch the game. a. Open the Mythos Global Homepage using Mozilla Firefox or Google Chrome (Allow popups temporarily). b. Download the Setup.exe that appears (HbsMozillaLauncher 1.0) and install it manually. Restart browser. c. Apply this fix for Chrome/Firefox. 9. How do I send Mail Inquiries? a. Please log-in to the Mythos Global homepage. b. Mouse over the “Support” tab and click on “Mail Inquiry”. c. Please make sure that the “Game” on the drop-down menu says “Mythos”. d. Enter the title and the main content of your inquiry on the comment box, and click on submit. (Note: You can also attach screenshots using the “attach a file” option at the bottom). NOTE: If all else fails and you have tried each of the above solutions, please send a Message using the Mail Inquiry system. Thank you all and enjoy playing Mythos Global! I fixed my own problem and my lan buddy's. Didnt read anything about this, so maybe you want to add it, or not. 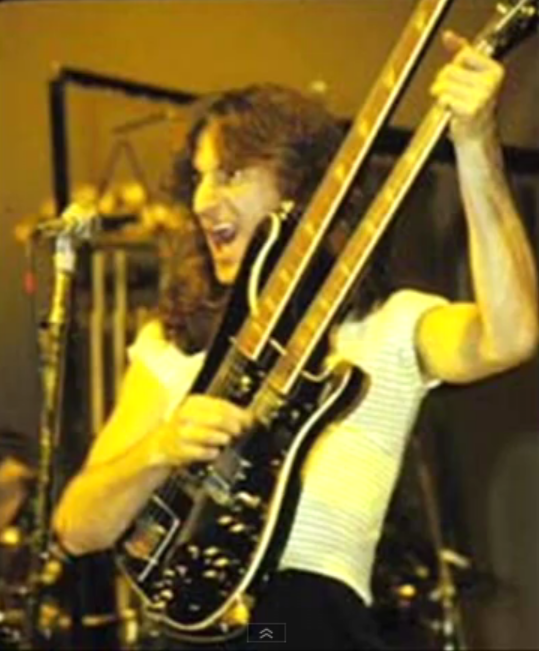 Geddy Lee on the doubleneck bass! The above fix, c. iii, was how I got mine to run correctly, however, I have Win 7 Ultimate 64 bit, but the compatibility tab was set on Win XP! And that was why Mythos would not run for me. All I had to do was click the drop down box, switch it over to 'Run this program in compatibility mode for Windows 7' and voila, Mythos booted up and was good to go as long as I played it. Hope this helps someone if you are using Win 7, but cannot get Mythos to run correctly. Stock trader by day; Fairy basher by night in Mythos!